George Saunders, author of 'Lincoln in the Bardo', poses for photographers after winning the Man Booker Prize for Fiction 2017 in London, Britain, October 17, 2017. 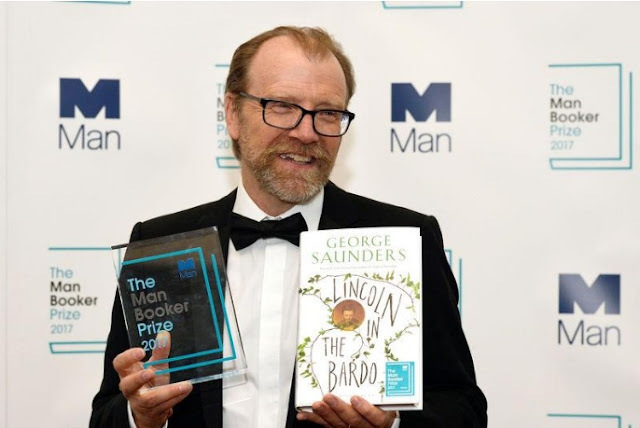 LONDON - American author George Saunders has won the 2017 Man Booker Prize, a high-profile literary award, for his first novel, “Lincoln in the Bardo,” - a fictional account of U.S. President Abraham Lincoln burying his young son. Saunders was presented with his award by the Duchess of Cambridge, the wife of Britain’s Prince William. American author George Saunders has won the 2017 Man Booker Prize, a high-profile literary award, for his first novel, “Lincoln in the Bardo,” - a fictional account of U.S. President Abraham Lincoln burying his young son.